Rent or buy Prince Caspian here. While I enjoyed the first film's story more (it was so clearly an allegory for The Atonement, The Resurrection, the Battle of Armageddon, and the Millennium), this one is better made, better written, and better acted. Plus, it has a healthy share of Christian symbolism itself, some rocking battle sequences (how this is only PG baffles me; the intensity of the action has PG-13 written all over it), and some of the best effects I've ever seen (the badger, in particular, is photo-real). The idea that the kids actually grew up in Narnia, then returned to their world while retaining all their knowledge and maturity intrigued me (and it makes their battle skills more believable). All that said, I still didn't find myself nearly as emotionally invested or involved in this as I was with The Lord of the Rings, the standard with which it will always, perhaps unfairly, be compared. 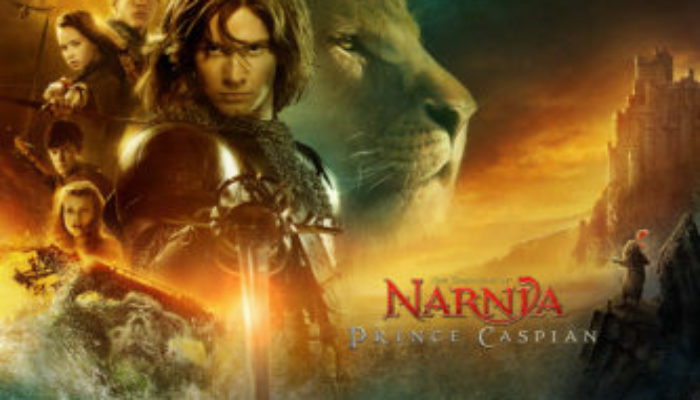 Why Narnian humans now have Italian accents is beyond me, and some of the jokes fall flat, but all in all it was very good; better than the first in terms of storytelling, character, and film-making. ***1/2 (out of five). For another great “teen travels to a magical fantasy-land” movie, I heartily recommend the 80's classic Labyrinth. Rent or buy it here.